"I would recommend John Tudor without hesitation to any organization that asked. He was very professional, very accommodating, and very entertaining. John arrived early and stayed late; he worked well with the hotel staff, the casino staff and our emcee; he involved the crowd and his show was appropriate for the time of day and the professional crowd attending." "We have booked The Magic of John Tudor a dozen times over the past 5 years. We presented his full show in a 800 seat theatre with full lighting and sound and it was terrific. Especially great with kids. We also use him for festivals, donor receptions and fundraisers. He can work in virtually any setting, with any audience, is funny and his magic tricks are dazzling. Easy to work with, understands the business and will make your event memorable." CARD MANIPULATIONS JT spins cards in the air, makes cards appear from nowhere, finds two selected cards in five seconds. MONEY PRODUCTIONS JT makes silver dollars appear, from spectator brought onstage, and from members of the audience. ONE CARD PETE JT sings blues and plays harmonica as he tells the tale of a gambler. DRAWING DOWN THE MOON JT has two spectators onstage to tell mystic story, illustrated by linking metal rings. CARD SWORD Three audience members select cards, JT takes haunted dueling sword, tosses cards into air and spears all three cards on sword. PAPER BALLS/STARCLE JT lets audience see how a trick works, then “makes them a Star,” which becomes a prize for the helper. BUTTERFLY BLIZZARD Colored strips of paper are given to the audience, placed in bowl of water. The paper is fanned into a blizzard of colored paper butterflies. RABBIT ROUTINE JT pulls live rabbit from empty hat. 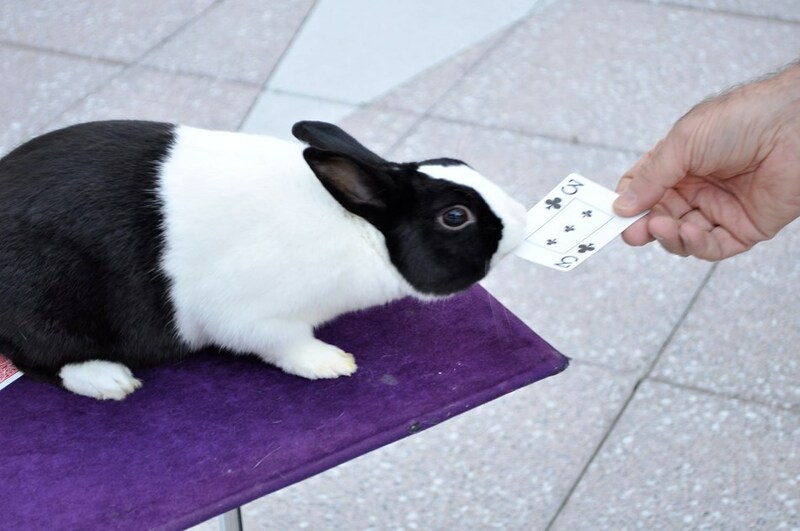 Pick a card, and the rabbit finds it. Comedy finale: rabbit does sit up, which leads to standing ovation! LEVITATION JT makes his dancer assistant seem to float in the air, with a touch of olde world romance. PUZZLE JT makes a lady disappear inside of a giant modern art puzzle. I would recommend John Tudor without hesitation to any organization that asked. He was professional, accommodating and entertaining. John arrived early and stayed late; he worked well with the hotel staff, the casino staff and our emcee; he involved the crowd and his show was appropriate for the time of day and the professional crowd attending. This was the first time we had brought someone in to "professionally" entertain. There were a few people who were anxious about the experience. We booked John for the entertainment for our annual Sr. Christmas Dinner. There turned out to be about 125 who attended and everyone one of them went on and on about how marvelous John was and how easy he was to work with. His show was fast paced, funny, engaging, and most importantly for "older church people" clean. Well worth the fee we paid. We would hire him again just to see the rabbit do another sit-up. I would definitely recommend John Tudor for any event! He was punctual, professional, and a fantastic magician. Everyone at our party LOVED having him, and we will definitley use him again! The kids were thoroughly entertained. He was very pleasant to work with and did a great performance. John was a blast! John is a very talented magician who gets the crowd involved and keeps everyone amazed. My daughter said it was the best party she ever had.John is highly recommended for any occasion.This was the first time I hired a magician or used GigMasters....I made the right choice. Thanks again for making my daughter,Camri's 10th birthday a great memory! John delivered beyond our expectations. he established rapport with his audience right away and kept it throughout. You can't teach instinct, and clearly John has it. plus, he is experienced and very professional. i highly recommend John for both large and (like mine) small events. John Tudor was GREAT entertainment for our church Wednesday Night Supper kick-off. He was articulate, entertaining, and adjusted his performance to the group in attendance. Small children to middle school students pulled up chairs close to John and laughed and joyfully applauded at every trick. The adults were just as enthralled giving him a final standing ovation! John has a way of reading the crowd and pulling everyone into his performance. His wit and talent were superb!! John even stayed around to give autographs and let everyone pet the precious rabbit. YES, he even pulled a rabbit out of the hat! Very cool! hi, We have blast at my daughter's b'day party bcoz of him..kids, elders every body enjoyed the show..even after a week people are talking about it.. I would definitely recommend him to all my friends.. I can't say enough good things about The Magic of John Tudor. John was the highlight of our New Years Eve party, and all the guests, from children to adults were very impressed. 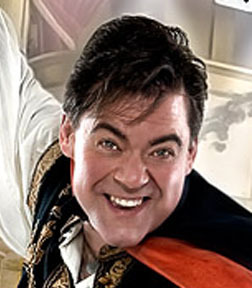 He is a superb magician who astonished all with his illusions. I highly recommend him - John Tudor truly made it a magical evening . Interacted well with our older residents! Spent time with them before the show started! Would def have him back! He was very well prepared and altered his show to fix our theme. 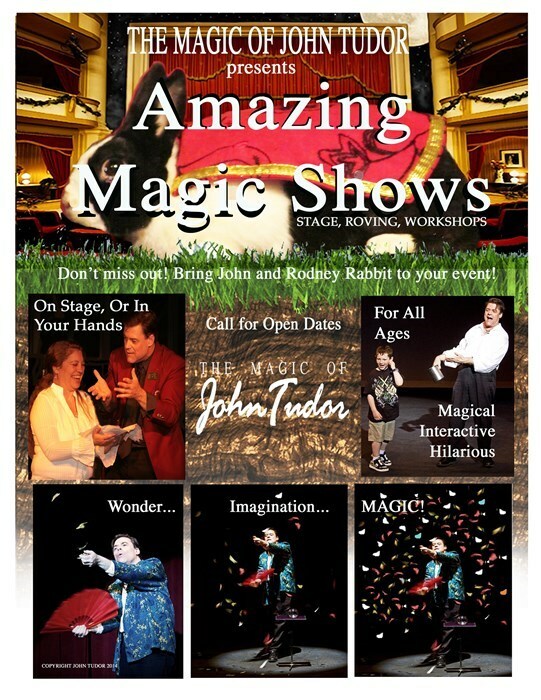 Please note Magic Of John Tudor will also travel to Cayce, West Columbia, Ballentine, Hopkins, White Rock, Gaston, Irmo, Lexington, Rion, Rock Hill, Summerville, Blythewood, Peak, Elgin, Monticello, Gadsden, Swansea, Eastover, Chapin, White Oak, Pelion, Gilbert, Ridgeway, Jenkinsville, Lugoff, Saint Matthews, Richland, Leesville, Little Mountain, State Park.